You can set your backup to run with different intervals: one-time, minutes, hours, days , weeks or months. 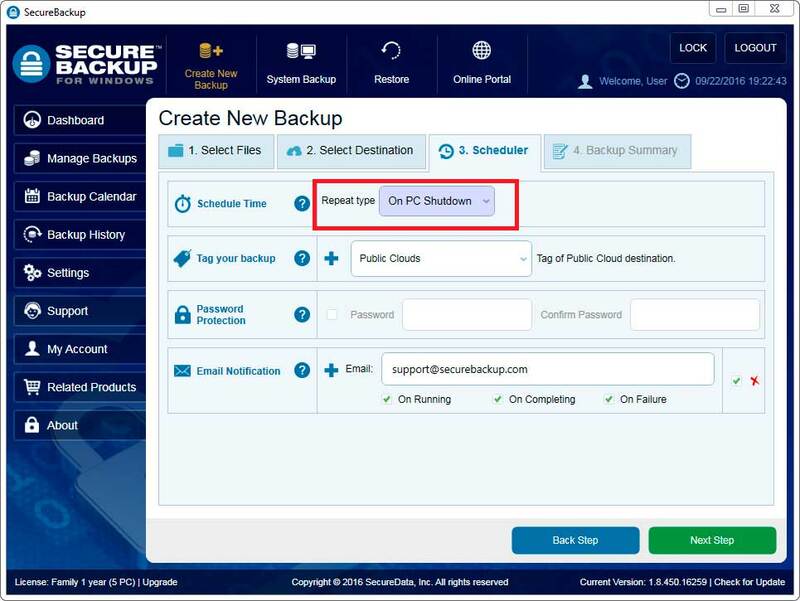 Backup can run also on PC shutdown . 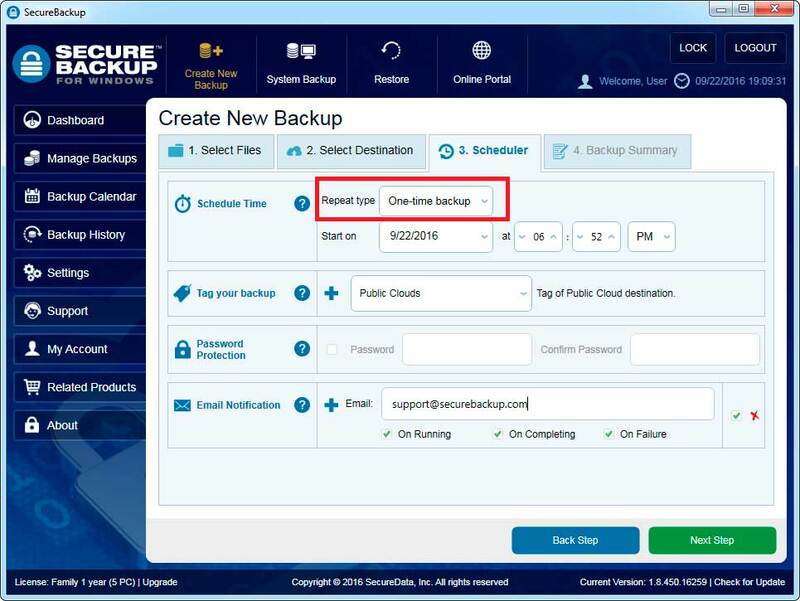 Every backup can be run manually any time. You also can configure the beginning of the first iteration by "Start on" menu and when will be finished the last iteration, by "End on" menu. Weekly - you can configure how many weeks the backup will run and which days in this week.